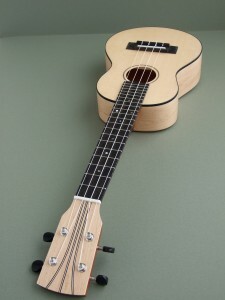 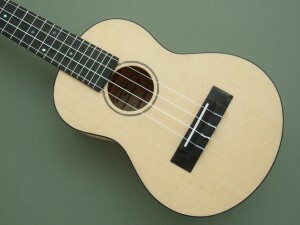 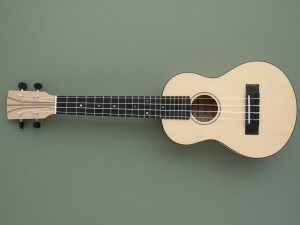 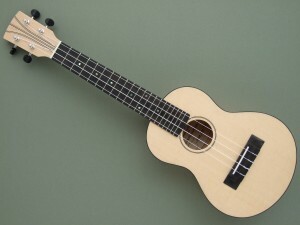 Concert Ukulele in Maple and Spruce with a Mahogany Neck. 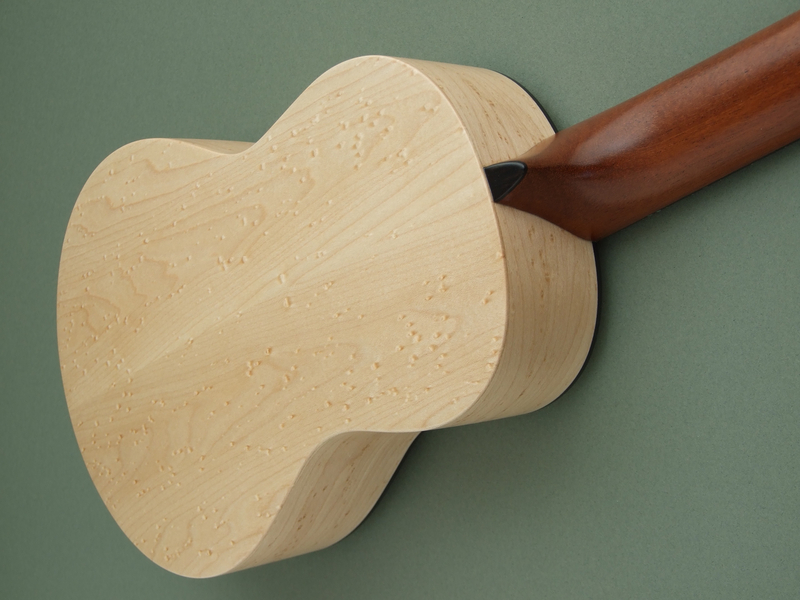 Body: Birdseye Maple back and sides. Soundboard: Sitka Spruce with black abs binding and black and white rosette inlay. 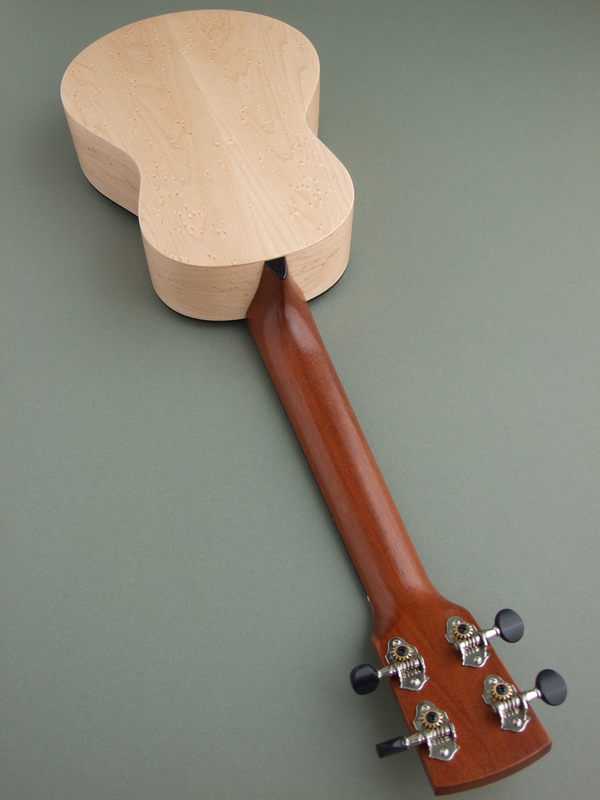 Neck: Re-claimed Brazilian Mahogany neck meets the body at the fourteenth fret with a tenon joint. 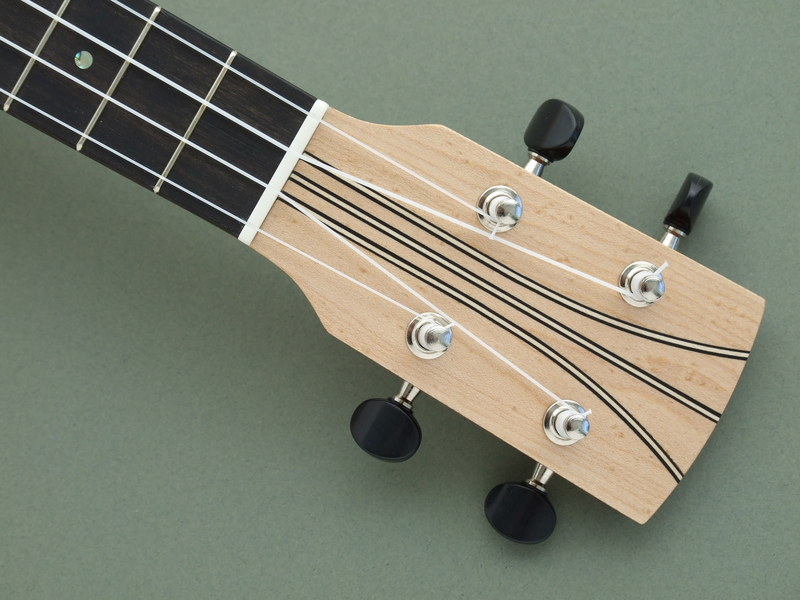 Birdseye Maple applied to the front of the headstock with ebony and maple inlay detail. 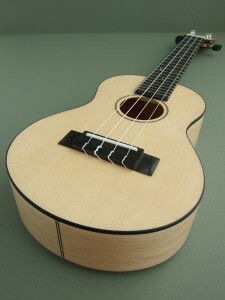 Fretboard: Ebony with abalone fret inlays and side dots, and corian saddle. 20 frets in total, 36mm wide at the nut. 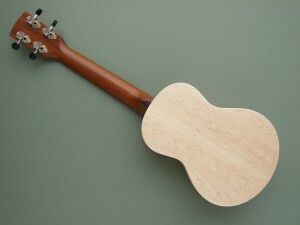 Finish: Semi-gloss cellulose lacquer to the body and neck. Semi-matt to the face of the soundboard.